Beachfront Luxury Home, Perfect for Large Groups. Casa Cazenovia is a four-bedroom home located in Las Catalinas, just steps from Playa Danta in Guanacaste. Known for its year-round warm weather, this region is the perfect place for a family or group vacation, and Casa Cazenovia offers all the amenities necessary for a perfect stay. This home can accommodate 10 people, making it an excellent choice for group outings. All bedrooms come with private bathrooms with mosaic tiles, a queen bed, a ceiling fan, and air conditioning. The master bedroom has an ocean view. Uniquely, this home can be rented in a variety of modalities, as the ground-floor studio has external access, meaning it can be locked away or rented on its own. Your group will enjoy the fully equipped modern kitchen, complete with stainless steel appliances. The kitchen itself is part of the home’s open concept and is connected to the living room and patio, giving you a variety of options in terms of dining and relaxation spaces. If you don’t feel like heading to the beach, you’ll be able to refresh yourself in the private lap pool. Perhaps the most stunning part of the home is the rooftop terrace. Sunsets will take on a whole new meaning with your group gathered together, watching the day end with a drink or a meal. How about a rooftop BBQ on the grill? 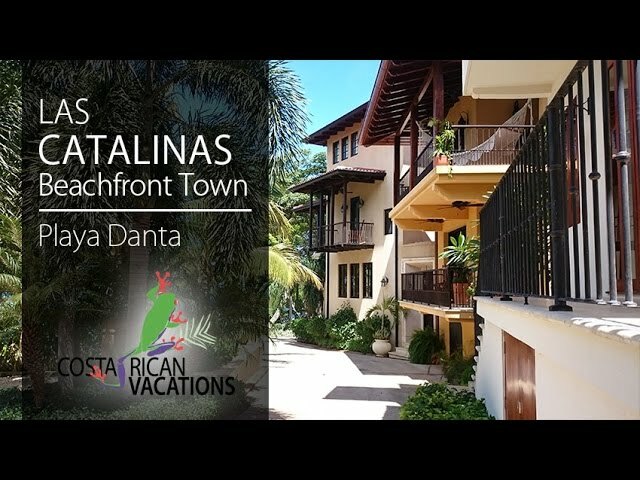 As part of the Las Catalinas community, the house comes with complimentary ¨House Mom¨ service includes breakfast prepared daily with ingredients found at home or what the Concierge Team has purchased prior to arrival. Other on-site offerings include 24-hour security, spa treatments, daily housekeeping service, and concierge service. Additionally, you can have your groceries pre-stocked and hire a chef for a relaxed dining experience.